How Does the Extradition Process Work in California? When one state charges a person with a crime, and the person is found in California, the state must extradite the person upon a proper request from the requesting state’s Governor. The person’s Intent or motive to evade prosecution do not matter, only the change in location. Although the language in the relevent law states that the defendant must be shown to have escaped or violated the conditions of bail, probation or parole, criminal courts have interpreted that language to be merely illustrative and not comprehensive. Thus, a person can be a fugitive without knowing that criminal charges have been filed, or without knowing that a crime has been committed, or if the person was removed forcibly from the state. The only exception is that the defendant’s presence in the demanding state at the time of the crimes must have been actual and personal, not constructive. If the defendant commits a crime in the demanding state without being present there (such as by being a conspirator or accomplice to another’s crime), the Governor of the asylum state, in this case California, has discretion to grant or deny the extradition request. Federal law requires California’s Governor to issue an extradition arrest warrant upon receipt of a written demand alleging that the accused was present in the demanding state at the time of the crime and thereafter fled, accompanied by an authenticated copy of the indictment, information, arrest warrant and affidavit or judgment of sentence. Torrance courts will abide by these orders. Upon arrest, the extraditee must be taken before a judge where he is informed of the demand and the charge and his right to counsel. He may waive his right to oppose extradition (commonly called a “waiver of extradition). If he does not waive extradition, the court will fix a reasonable time to apply for a writ of habeas corpus. According to one Torrance Criminal Lawyer. 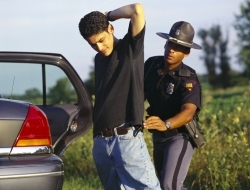 if probable cause exists to believe that the defendant committed a crime in another state or escaped or broke the terms of his bail, probation or parole, then the defendant also may be arrested and detained to await the issuance of the extradition warrant. However, this detention may last only for a 30 day period, which a court can extend for another 60 days if the asylum state’s Governor has not issued an extradition warrant. How long does the other state have to pick the defendant up? Once the extradition warrant issues, the demanding state has 30 days to collect the defendant. However, the filing of a habeas petition tolls that period. Release for violations of this 30-day period is discretionary, not mandatory. If you have a loved one in jail in Torrance or anywhere else in Los Angeles, call Torrance Attorney Matthew Ruff for help. 1 Response to How Does the Extradition Process Work in California? If your in texas and need to be extradited back to california for a parole violation, do they have 10 or 30 days to pick you up before they release you?